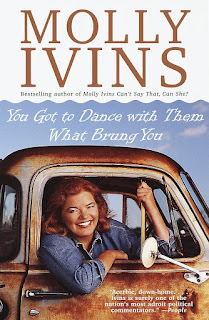 WataugaWatch: What Would Molly Ivins Say? 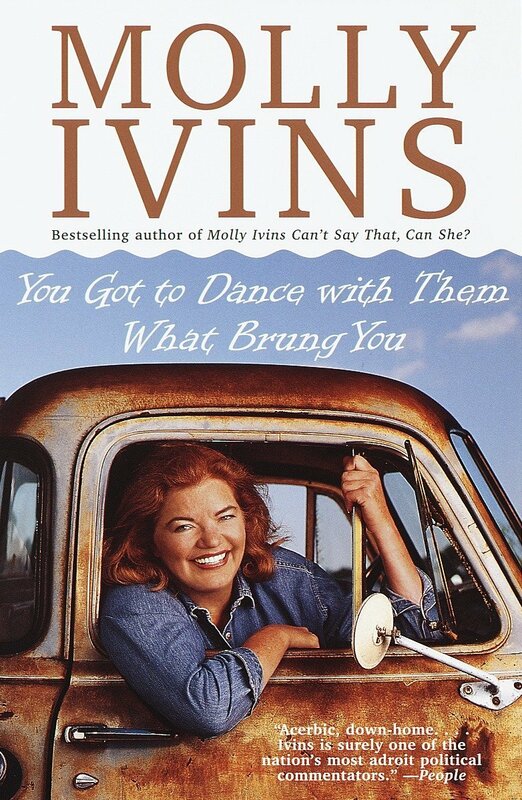 I've been reading some Molly Ivins from yesteryear ("You Got To Dance With Them What Brung You"), and I can't help missing her. What she would have written in this target-rich environment! We have a criminal enterprise inhabiting the White House. We have a comic first family who know not what they do. We have a supine Congress which doesn't want its own power, its constitutional role in this mess. We have Brett Kavanaugh. But what if Molly lived in North Carolina and hung out in Raleigh? Here we have Republicans suing to stop an investigation into illegal voting after just convincing 55.49% of voters to institute a required voter photo ID, supposedly to cure voter fraud (which every rural Republican knows runs rampant, because they know a man who said it did, especially in certain counties). Twitterman fed their fantasy by proposing -- on camera -- that he knew many voters went in and voted and then went to their cars and changed their wigs or their shirts and went in and voted again as somebody else -- over and over. That's the lode of intelligence Molly Ivins would have mined with glee. Molly would have loved Bladen County and the failure to certify the Reverend Mark Harris's win in the 9th Congressional District because of absentee ballot whiffing. It sure does look like the Reverend hired himself an ex-felon with a fraud conviction to harvest absentee ballot votes. Meanwhile, the Democratic chair of the State Board of Elections is forced to resign for being a fool on Twitter. The State Board of Elections has jurisdiction over ordering another election in the 9th, and by now Republican true believers will have conflated this into "Democratic Chair Resigns After Masterminding Ballot Fraud in Bladen County." Bet on it. Meanwhile, Harris was elected, if he was elected, out of a mulligan stew of illegally gerrymandered districts designed by the best tech eggheads to keep Republicans in power for eternity. Districts, incidentally, existing now only by court order to get through the fall elections and then to forthwith straighten up and stop trying to deliberately disenfranchise people. Even with gerrymandering working its magic, voters were mad enough this November to flip sufficient districts to give the governor back his power to stop Republican bills with a veto. It's a funny world. Also exhausting, the constant two-wheels-off-the-cliff. In such times, the authoritarian-minded look for a strong man to run everything. I look for simple humanity, with humanity's time-honored values held tight. Common decency must reassert itself and bring our careening chariot back into the road.